OK, another action packed day in the park – defib not required this time……. 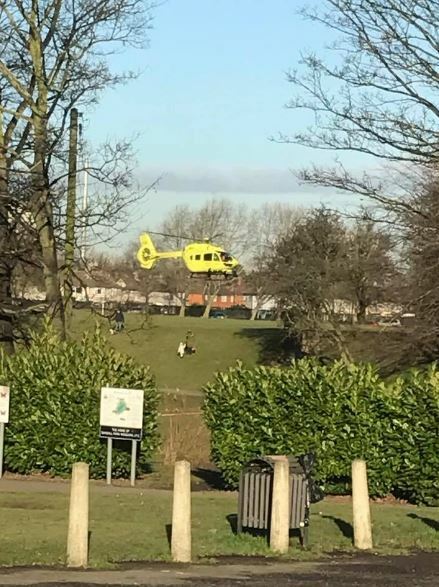 just a helicopter! 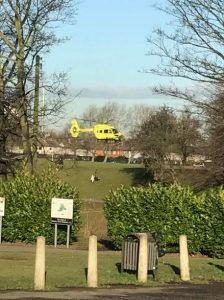 The air ambulance attended in the park following a collision between two pedestrians and a vehicle on Thorne Road outside the park. Thorne Road was closed for a while.